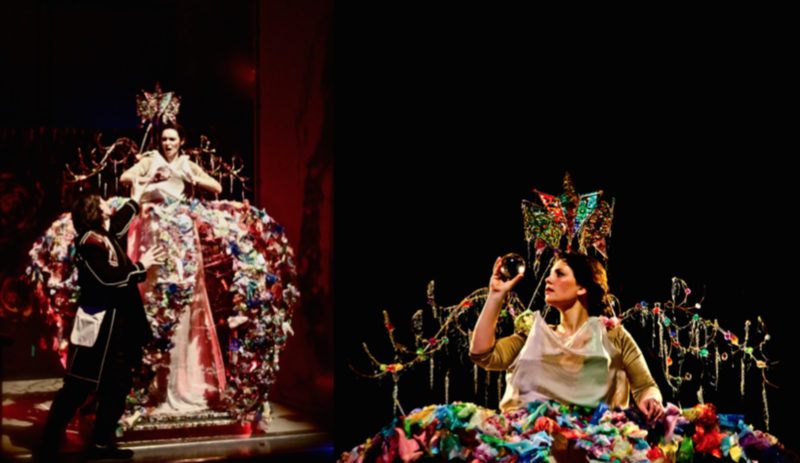 MICO (August, 15th, 1988) is a Fukuoka-born Artist of Prayer, Performer, Theatre Artist and Costume Designer. She creates Forever Love. The concept behind her work is created by things unseen: the synchronized light of goddesses, spirits, and fairies; the universe, fantasy, myths, dreams and metempsychosis are expressed through various mediums such as painting, theatre performance, film and animation. By the age of ten, MICO had already developed a clear artistic vision. From the age of 15, she spent approximately 10 years in Canada, the US, and London studying film, theatre performance, and art. She later attended the world renowned arts and design college, Central Saint Martins at the University of the Arts London where she further developed her talent in performance design,including live performance, opera, dance, film, costume, stage set design, make-up and stage direction.After returning to Japan in 2012, she incorporated Japanese traditional arts and culture. Since 2013, she presented her theatrical art and displayed her Performance Painting to the world. She was inspired by the light of the buddhist art goddess, Gigei-ten, during Jiutamai Master Hanazaki Tokijo’s traditional dance performance of dedication at Itsukushima Shrine in 2014. The following year, MICO produced and presented her Performance Painting Itsukushi no Kimi. Her works will be displayed at the Tokijyo Hanasaki New Training Institute. MICO’s light of the goddesses synchronization performance, MICO MAI Spectacular Spectacles opened in 2015. Her opening performance was held in Aoyama, followed by performances and workshops which were hosted nation-wide. Her studio in London will be moved in Paris. MICO joined Japan Expo in Paris in July 2016. She will present her Performance Painting of the buddhist art goddess, Benzaiten and MICO MAI Spectacular Spectacles at the dedication ceremony at Hogon-ji Temple on Chikubu Island on August 15th, 2016. 2017, she inherited her mother's Golden Gift Meditation & went back to London for teaching it to a Londoners between March to July. She was chosen to be a dedicator of an ancient goddess " Princess Seoritsu " by a Yamabushi master mountain guardian from the Three Mountains of Dewa. The Master Yamabushi took her fellows & her to the secreted holy mountain "Nigorikawa" for training & feeling the goddess. After that she created the goddess's art works & dedicated it with a Jinen dance to the dewa sanzan shrine & daishobo. ・English Pocket Opera Company presents Duke Bluebeard's Castle: the third door, Treasure chamber at Platform Theatre. She took charge of the direction, costume & set. ・Dance Film： Serolis of the Red Eyes. She presented her life work's story as the dance film. She took charged of the direction, management, costume, character design, story, script, body paint design, and etc. 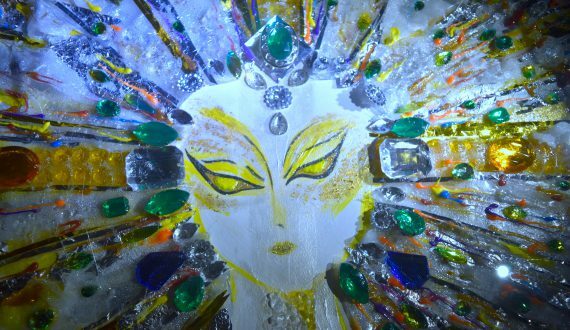 ・She created the Performance Painting for Sanctuary High Jewellery Party for the last time. ・She designed the logo of ZAZA CLUB 551.